Better Home Products began its operations in 1994 and it is headquartered in South San Francisco, California. It primarily offers state of the art functional as well as decorative hardware products. BHP products are classified into categories like Locksets, Misc. Door and Closet Hardware, and Bathroom Accessories. Finding superb quality hardware products in entry level as well as mid level pricing is possible only with BHP. Moreover, the broad array of functional hardware with immaculate designer appeal and astounding finishes make product selection simple and intuitive. BHP has always prioritized customer service. Products like Levers, Knobs, Handlesets, Deadbolts, Interconnect Locks, Parts & Accessories, Bath Accessory Products, Towel Bars, Paper Holders, Towel Ring, Robe Hook, Shower Rods, Grab Bars, Door Hardware, Cabinet Hardware, and Closet Hardware indeed offer a transformation of mundane build project into a trendy functional fashion statement. Using BHP products is easy and the amazing performance indeed offers the peace of mind you deserve. BHP products come with a broad array of warranties too. Therefore, get the best value for money spent every time you buy and use BHP hardware products and bath accessories. 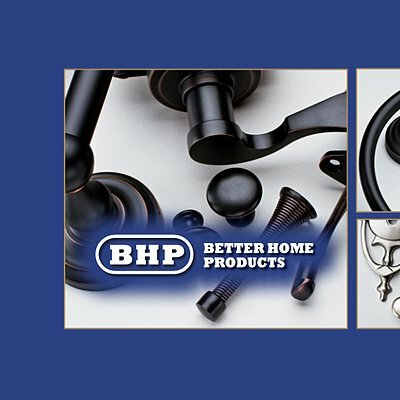 Make BHP hardware your pick for the next project and enjoy the timeless performance and peace of mind you deserve.